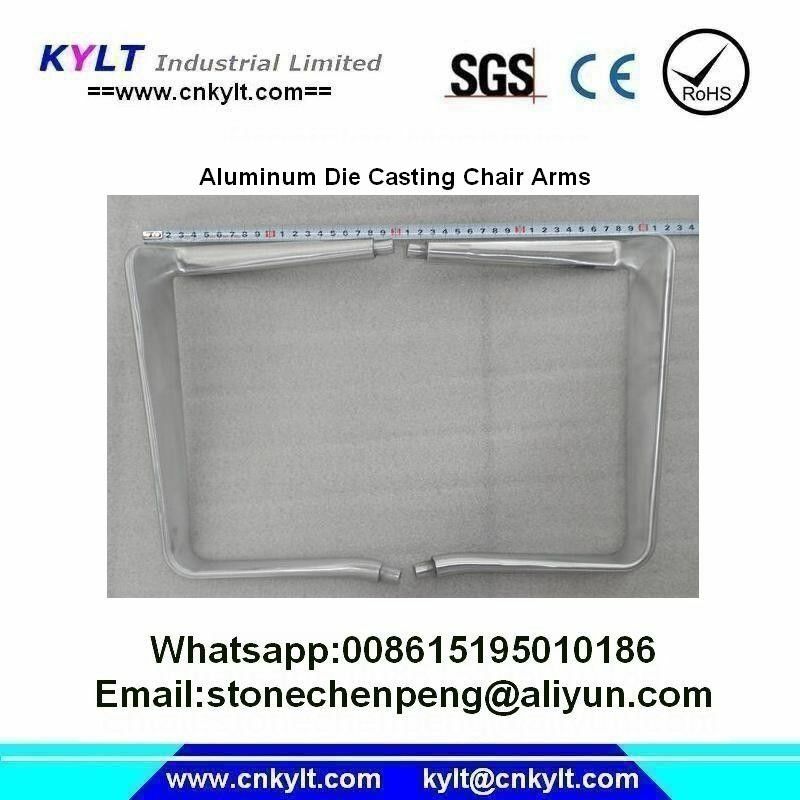 KYLT Aluminum Zinc Alloy Die casting/Injection Chair Arms, foot, support parts by 200T, 280T,300T cold chamber die casting machine. Can produce all kinds of Zinc(Zn, zamak), Aluminum(Alu.) alloy parts as per cliends drawings or samples. 1. Aluminum Zinc/Zamak Die Casting Mold Material: H13, SKD11 or per customer's requirements. 2. Mould Design: According to Technical Drawings or Samples. 4. OEM and ODM orders are all Welcomed. 5. Good Quality & Competitive Price & prompt delivery. KYLT Industry Co., Ltd. is a professional die casting manufacturer in China. KYLT focus on samll-middle enterprises, provide die casting solutions as per clients demands from Moulds making, Aluminum / Zinc (Zamak) / Lead (PB) Metal Alloy Die Casting to Machining, Surface treatment, Assembly and Shipment etc. With good quality, KYLT die casting parts are export to Japan, Spain, English, Germany, USA etc. -Zamak2, Zamak3, Zamak5, Zamak7, ZA8, ZA27 etc. -(ODM) Customer show us detail ideas and requirements, our engineers will to design. -Molds productions period is about 3 to 4 weeks. -Provide die casting samples for customer to check. --7sets die casting machines, 2 or 3 shifts to guarantee production in time. --Experienced die casting and mould makers, 7*24 await orders to guarantee moulds and machines running good. --Only use standard enviroment friendly Aluminum, Zamak alloy materials. Provide MATERIAL CERTIFICATE from original material factory. --Provide CE, ROHS, SGS certificate as per customer requirements. 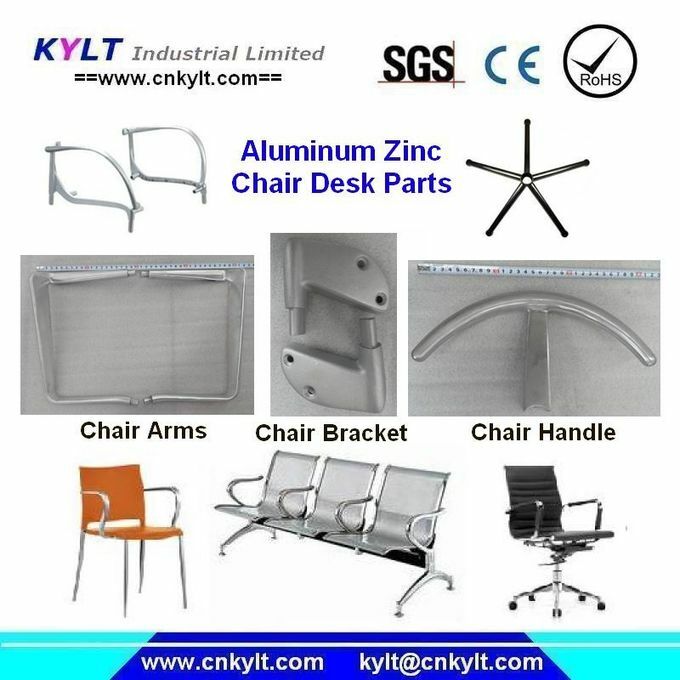 --As per customer requirements, KYLT provide die casting parts surface treatments methods: deburring, shot blasting, shacking polishing by machine (smooth polish or light polish), manual normal polishing, manual bright polishing, painting, powder coasting, galvanization,chrome plating etc. --FOB, CFR, CIF, EXWORKS trade term available. --Packing by cartons and in pallets.